Lala Carey Rascoe died at 1:20 p.m. Wednesday in the Hospice Home of Alamance-Caswell. Members of her family were present. She was 87 and was predeceased by her husband of 48 years, Thomas Fleming Rascoe. She lived in the Union Ridge community for 70 years. 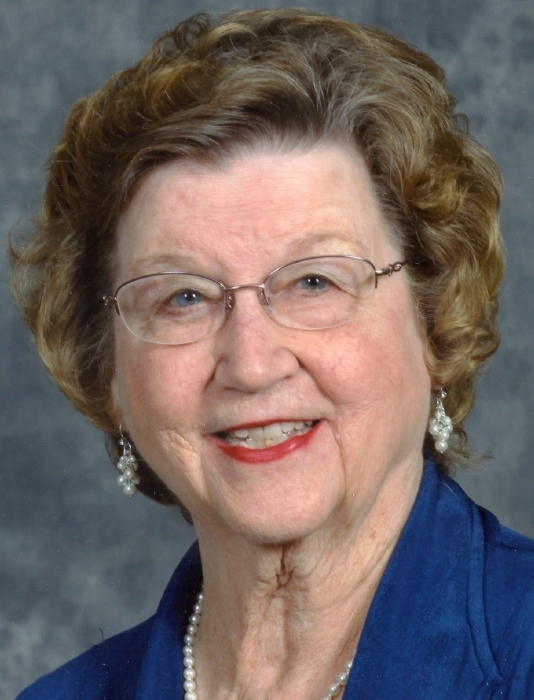 She was a member of Union Ridge Church where she served as a deacon and a member of the official board and was influential in the establishment of the church’s food pantry. She was employed by Burlington Industries for 40 years and retired in 1997 as personnel director of the transportation division. She is survived by three daughters and their husbands, Roselynn and Wat Hopkins of Blacksburg, Va.; Robin and Doug Smith of Greensboro; and Michele and Tim Price of Elon. She has eight grandchildren: Lincoln Hopkins and his wife Erin of Christiansburg, Va.; Jonathan Hopkins and his wife Beth Ann of Brooklyn; Sam Hopkins and his wife Danielle also of Brooklyn; Thomas Smith and Lydia Smith of Greensboro; and Carey Price, Hannah Price and Jacob Price of Elon. She has four great-grandchildren: Isaac, Gabrielle, Betty and James Hopkins of Christiansburg, Va.
She is the daughter of Lillian and Otis Carey and is survived by seven siblings and spouses: Lonnie Carey and his wife Peggy of Burlington; Glenda Newcomb and her husband Allen of Union Ridge; Stanley Carey of Lady Lake, Fla.; Neil Carey and his wife Brenda of Union Ridge; Angela Pendergrass and her husband Ronnie of Elon; Fairley Carey and his wife Brenda of Longwood, Fla.; Jill Saunders and her husband Don of West Jefferson. A funeral service will be held Saturday, April 6, 2019 at 2:00 PM at Union Ridge Church. Officiating will be Rev. Dan Ficklin. Burial will follow in the church cemetery. The family will receive friends at Union Ridge Church Saturday from 1:00 PM until 2:00 PM prior to the service and at other times at the residence. The family would like to give special thanks to the staffs of the Homeplace and Hospice and Palliative Care of Alamance County for their care and compassion. They would like to also thank the members of Union Ridge Church for their prayers and acts of kindness. Memorials may be made to Union Ridge Church General Fund, 115 Altamahaw - Union Ridge Rd., Burlington, NC 27217 or to Hospice and Palliative of Alamance /Caswell, 914 Chapel Hill Rd., Burlington, NC 27215. McClure Funeral Service in Graham is serving the Rascoe family.